Need Privacy? 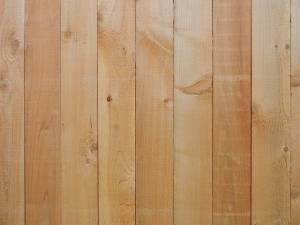 Choose a Cedar Privacy Fence! HomeWoodNeed Privacy? 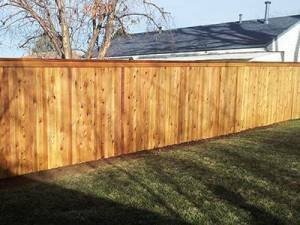 Choose a Cedar Privacy Fence! With all of the fencing materials available on the market today, choosing the perfect one for your home may be a challenge. For a homeowner, privacy is a dominating concern when deciding what type of fence would be most beneficial. The most traditional form of privacy fencing has always been cedar – and not by accident. Cedar fences are built to maximize privacy. The boards can be used as a solid wooden structure which allows for high walls without gaps and acts as a noise barrier. • Cedar wood is durable and can easily withstand harsh weather conditions. • Cedar fencing will retain its long-lasting value with little maintenance and can adapt to the environment in which it stands. • The complexity of a cedar fence can change the look of your home and yard through aesthetic appeal. • Cedar fences hold natural air pockets that act as insulation to help with temperature control in your yard. Texas Fence & Iron Co. will design a fence for your yard that is easy on the eyes but contains great functionality. Cedar fences are customizable and can be shaped differently to incorporate the amount of privacy you desire. Our professionals at Texas Fence & Iron Co. work diligently with our clients to ensure all stages – design to installation – exceed expectation. Whether you need to, fence-in a new area or reestablish your current fence, Texas Fence & Iron Co. can satisfy your specific needs. Contact us today at (281) 995-2050 or jobs@texasfenceandiron.com to learn more about our cedar fencing options.